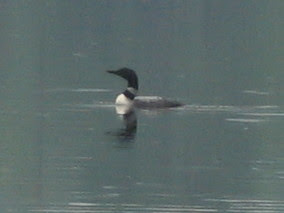 The loons are still on their nest, taking good care of their eggs, with one mate regularly out on patrol. They seem fairly comfortable with boats passing by in the distance, but get very agitated when they approach too closely. We have heard lots of loud complaining at various times of day. 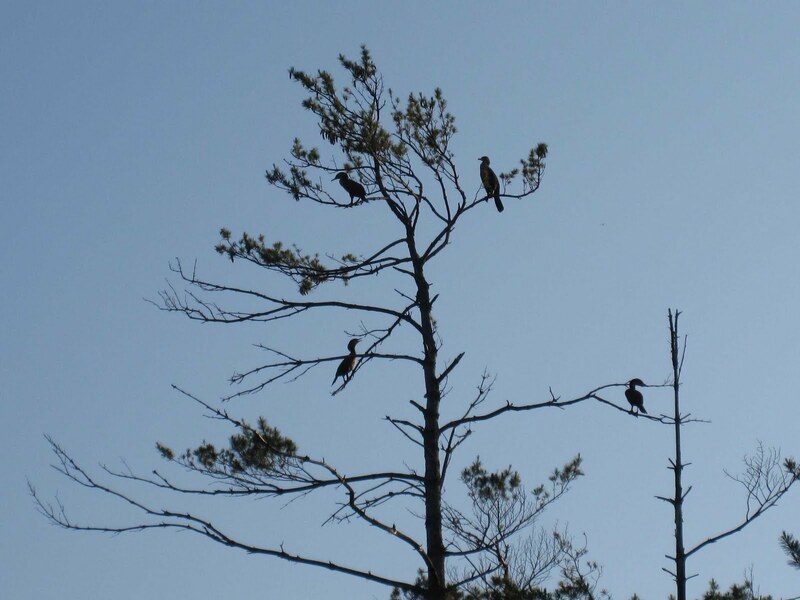 There is now a flock of at least four comorants on the lake, but according to loon expert Ralph Kirshner, cormorants aren't usually a problem for loons. I saw my first sign of deer this week. I didn't actually see it, but heard it snorting and stomping as it walked deeper into the woods. The deer have been noticeably absent compared to year when they were so prevalent, with two families and four new fawns. The fireflies also came out one warm evening this week, with their sparkles of light adding a touch of brightness to the summer night sky. 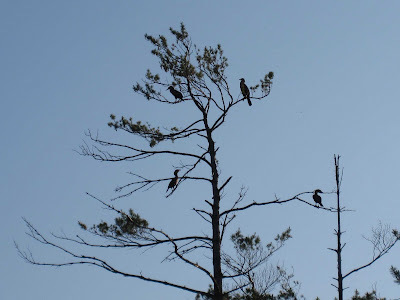 Other trees are putting out new growth now - in addition to the hemlock of last week - the maples are forming new leaves, which as in the spring, disclose their true color before they start to photosynthesize. There are several shrubs blooming around the shores of Lake Wicwas at the moment, one of prettiest is the Sheep Laurel. And down low on the ground I found this bright yellow fungus - complete with a slug coming to dine on it. There were also some beautiful cloud formations as the sun set behind the rising cloud banks. That last sunset picture is incredible.